Google has announced that it will be making some changes to seller ratings in early October 2018. The changes will make it easier to get seller ratings if you only operate in one country, but harder if you operate internationally. So we thought this might be a good time to publish a guide explaining the difference between seller and product ratings, how to get them and what the changes mean for retailers. Note: If you just want to know about the changes to seller ratings, skip towards the end of the blog where it says ‘latest changes’ in red. According to research from BrightLocal, 88% of consumers trust online reviews as much as personal recommendations. This is precisely why Google has developed its own review system with features such as seller ratings and product ratings – all in the name of helping retailers sell their products more effectively through Google Search. Google told us back in 2011 that seller ratings increase CTRs by 17%, while independent studies from the likes of CXL Institute and Omnitail have achieved even better results, boosting CTRs by 35% and 107% respectively with a combination of seller ratings and product ratings. If you like the sound of those numbers but you’re still a bit hazy on the topics of Google seller and product ratings, this article is for you. Google seller ratings give your brand a score out of five stars based on customer reviews left on Google and a range of other review platforms, including Trustpilot and PowerReviews. Your seller rating can appear on organic search listings, Google Ads search ads and Google Shopping listings. In organic listings and search ads, seller ratings appear as a yellow star rating with your score out of five displayed, as well as the number of reviews this is determined from. For Google Shopping listings, your seller ratings are going to look a little different. While your score will be the same, they will show across your listings as a green row of stars next to your brand name. What are Google product ratings? Google product ratings don’t reflect your business in any way but rather the products you’re selling. Once again, this places a score out of five stars on individual product listings to help consumers choose the right product based on independent reviews. This time it’s product ratings that appear in yellow on Google Shopping listings with seller ratings turning green to help users differentiate between the two. Next to the star rating, the number of product reviews this score was aggregated from is shown and each product needs at least three reviews for product ratings to show. These scores are aggregated from multiple sources including merchants, third-party aggregators, editorial sites and users themselves. Seller ratings vs product ratings: Which one is more important? This depends entirely on the nature of your brand and what you’re selling. You don’t need to be a retailer to qualify for seller ratings but you do need to sell products on Google Shopping to make use of product ratings – however, not all products qualify. For retailers, both seller and product ratings are important and they serve entirely different purposes. While seller ratings are all about showing people how much your brand is loved by its customers, product ratings are all about the individual items you sell. This is an important distinction because a phone retailer’s reputation shouldn’t be determined by the quality of handsets made by the likes of Apple and Samsung but the services provided around them (customer service, delivery options, etc). Product ratings are there to help consumers choose high-quality products with confidence while seller ratings are there to help them choose reputable retailers to buy from. Ideally, if you’re selling products on Google Shopping, you want an impressive seller rating and product ratings showing wherever possible. Imagine a user who’s looking to buy a new TV and they’ve heard from someone at work that Sony makes the best UHD TVs right now. It doesn’t matter whether this is true or not; people trust advice from their peers more than marketing messages and the same thing goes for online reviews from other consumers. So this person heads right to Google, types in ‘Sony UHD TVs’ and clicks through to Google Shopping. They’re not sure exactly what kind of TV they’re looking for and they certainly have no idea where they plan to buy one from. As they scroll down the page, they see a range of TVs at different price points, many of which have 4 or 5-star product ratings. These instantly help users pick out the products of interest but it’s still difficult to narrow down options when there are so many high scoring reviews. There’s something else going on here, though. 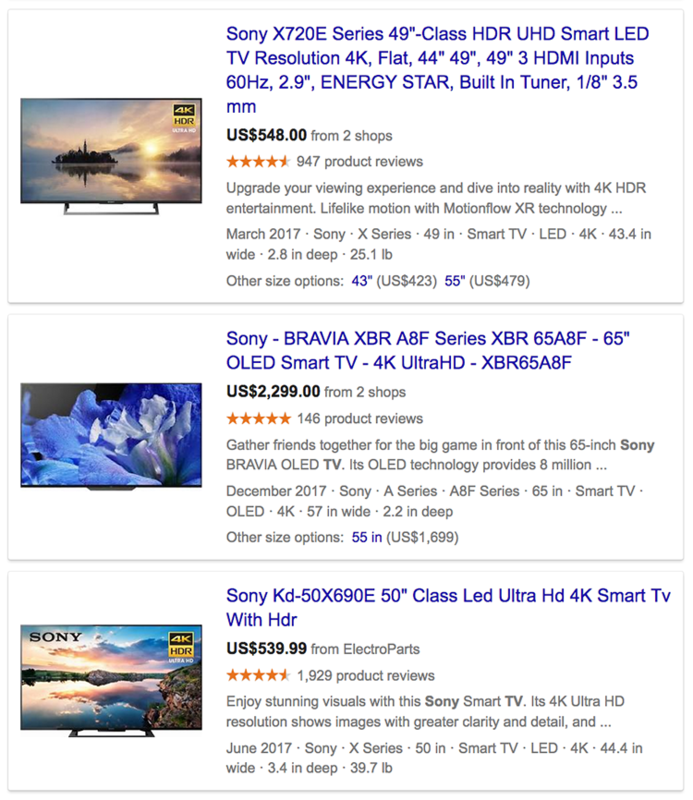 As users scroll down the list of Google Shopping results and almost indistinguishable product reviews, they notice the retailer B&H Photo-Video-Audio keeps cropping up with its impressive 4.7/5 seller rating from more than 175,000 reviews. This is a major branding win for B&H, telling this user that, whichever TV they choose to buy, they’re not going to find a much better place to buy it from than B&H. Google is making some changes to the requirements for seller ratings so we’re going to have to explain this in two chunks. The changes are going to come in “early October” (2018) so let’s start by explaining the current requirements and then we can tell you about the changes coming up. If you fail to meet either of these requirements, your seller rating won’t show across Google Search or Shopping. Pretty simple. This is about to get a little more complex if you operate in more than one country or sell products overseas. We’ve been told directly from Google that it’s going to start showing seller ratings on a country-by-country basis. If you fail to meet either of these requirements, your seller rating won’t show for users in the relevant country. This also means your score may be different across different countries and reviews from any given country will only contribute to the seller rating that shows for that country. “Starting early October, we will begin displaying your seller rating on a per-country basis to better reflect the experience that you provide to your customers in a particular country. This means that you may have a different seller rating in different countries that provides a more accurate representation of the quality of your service to a specific country. This will actually make it easier to get a seller rating if you’re only operating in one country, but you’ll need to work harder to maintain 100+ reviews in each country you operate in over any given 12-month period if you’re advertising to overseas buyers. If you need to increase your profile of reviews, you’ll probably need to sign up to additional review sources with strong user bases in your target markets. 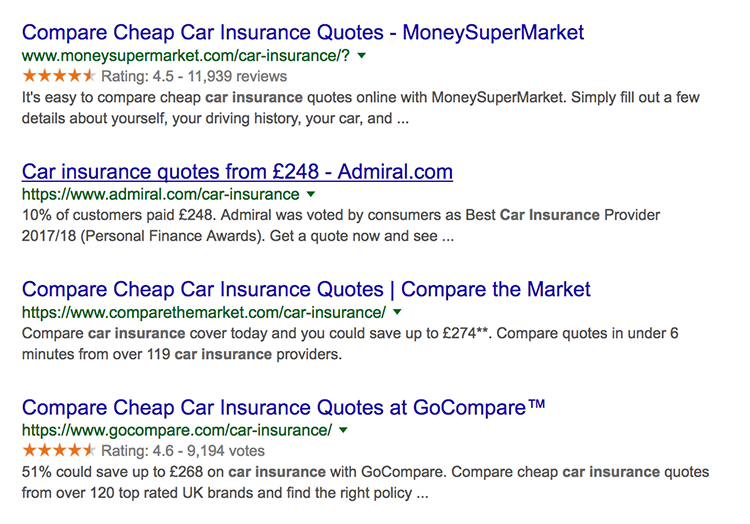 You can get the full list of sources that contribute to seller ratings at Google Ads Help. You can also add product ratings by using reviews from third-party sites, especially if you’re struggling to reach the minimum 50 review target on your own. 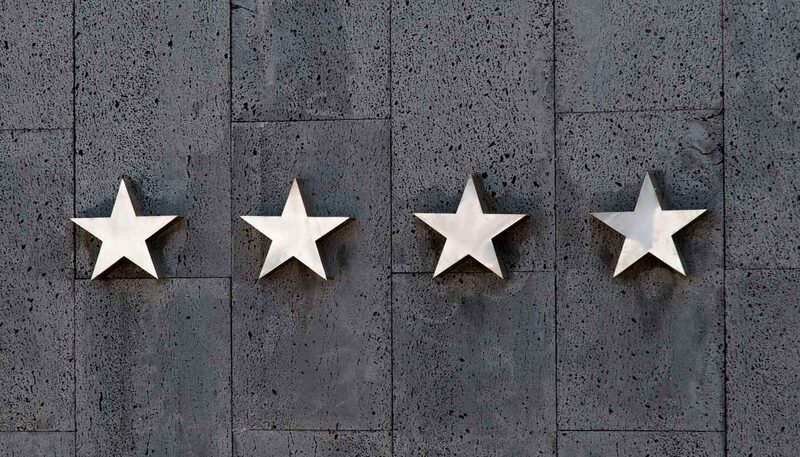 You will have to pay for the privilege of using external reviews but it’s often worth the investment, as the number of reviews used to calculate your score is also shown alongside your star ratings. Finally, you can use Google Customer Reviews to get additional feedback from your customers, which contributes to your product ratings. Seller ratings and product ratings may look similar and they might even seem confusing at first, but they play very different (and equally important) roles. Consumers want to know they’re getting quality products for their money but they also want to feel confident about the retailer they’re buying from. With seller and product ratings both displaying on your product listings, you’re helping users choose the right product for them but also telling them you’re the retailer to buy from. Then speak to our experts today on 023 9283 0281 or drop us an email here and we’ll call you. Amazon is already the biggest name we associate with buying products over the web, which means its recent venture into PPC advertising is something we’re very interested in.